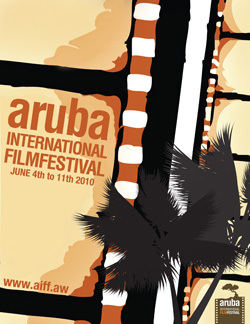 Aruba – May 20, 2010 – Program details for the inaugural Aruba International Film Festival (AIFF), which takes place June 4-11, 2010, were announced today. The Festival will showcase 28 films from 18 different countries, featuring several international premieres and many Caribbean/South American premieres. The lineup was announced by AIFF Artistic Director Claudio Masenza along with Festival founders Giuseppe Ciocarrelli and Jonathan Vieira. Films having their international premiere at the Festival include the Dutch drama “Amsterdam,” directed by Ivo van Hove; the Italian dark comedy “Questione di Cuore,” directed by Francesca Archibugi; the Susanna White directed English family comedy “Nanny McPhee and the Big Bang” starring Emma Thompson, Ralph Fiennes, Ewan McGregor, Maggie Gyllenhaal, Maggie Smith and Rhys Ifans; and the English horror/drama “Black Death” starring Sean Bean, diected by Christopher Smith. AIFF will open with the drama “Hachiko” starring Richard Gere, who will open the Festival as its official host. In addition to opening the Festival, Gere will be bestowed with a special humanitarian award and participate in the Festival’s “In Conversations With” series engaging the Festival audience. Fox Searchlight’s comedy “Cyrus,” directed by Jay and Mark Duplass and starring John C. Reilly, Jonah Hill, Marisa Tomei and Catherine Keener, has been selected as the closing night film. Complete film details are provided in the accompanying AIFF program overview. The stars will be shining bright at this year’s AIFF. In addition to legendary leading man and activist Richard Gere being in attendance, Academy Award® winning filmmaker Bernardo Bertolucci (The Last Emperor, Last Tango in Paris) will be bestowed with The Golden Aruba Award for outstanding achievement in film. Notable guests participating in the “In Conversation With” series inclide Oscar® and Golden Globe® nominee Guillermo Arriaga (“Babel” “21 Grams”), whose highly acclaimed film “The Burning Plain” is screening in the festival; multiple Academy Award® winner Thelma Schoonmaker (“The Departed” “Goodfellas” “The Aviator”); Academy Award® nominated actress Patricia Clarkson (“Pieces of April” “Shutter Island” “Lars and the Real Girl”); Oscar® nominated actor Griffin Dunne (“Game 6” “My Girl” “Johnny Dangerously”) and famous Indian choreographer Longiness Fernandes (“Slumdog Millionaire”). The full AIFF program is available to print online at www.arubafilmfest.com. Tickets can be purchased online or in person at the AIFF’s office at Paseo Herencia. Tickets are available in a variety of price ranges, from a simple movie ticket to packages of multi–event attendance, to top accreditation tickets for VIP events. Taking place June 4-11, 2010, the breathtaking Caribbean island of Aruba provides the backdrop for the film industry’s newest “must-attend” event, with an inviting atmosphere, suited like none other, to attract actors, directors, filmmakers, and film lovers for a one-of-a-kind festival experience. AIFF stands to further global awareness for the Island of Aruba as a center of art, culture and creativity and serve as a platform to promote the understanding and appreciation for the art of cinema and filmmaking. With participants enjoying a relaxed Aruban ambiance, AIFF promotes a more casual interaction between filmmakers and audience, making the film festival friendly and accessible to all participants. The annual AIFF will bring people from around the world to view a wide selection of films, join in discussions and attend special parties and events. AIFF has a mission to encourage, educate and activate young Aruban filmmakers. Throughout the Festival, notable film professionals will be conducting master classes on all facets of filmmaking and the creative process.